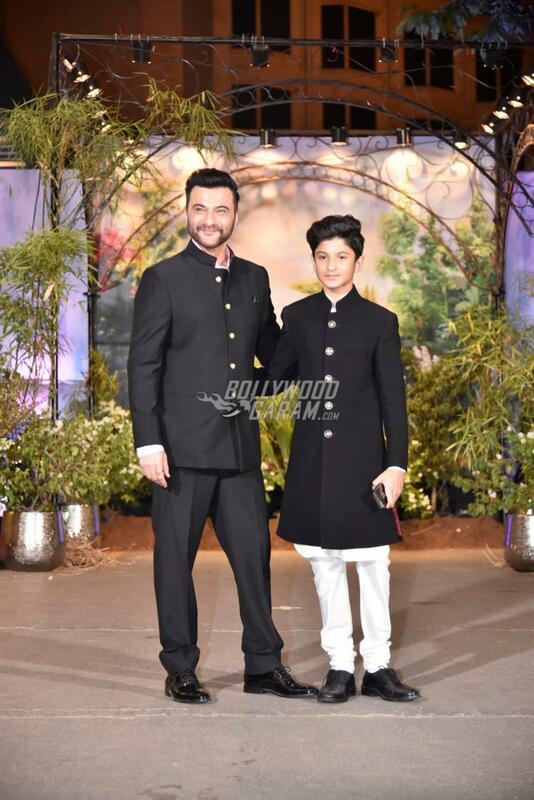 Stars from Bollywood descended at the grand reception of newly-weds Sonam Kapoor and Anand Ahuja in Mumbai on May 8, 2018. 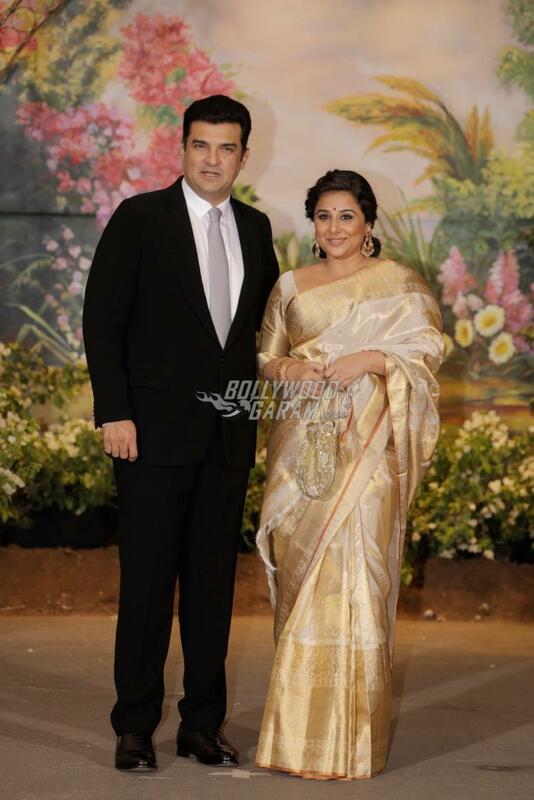 Friends, colleagues and family members graced a grand reception hosted at a plush hotel in Mumbai. 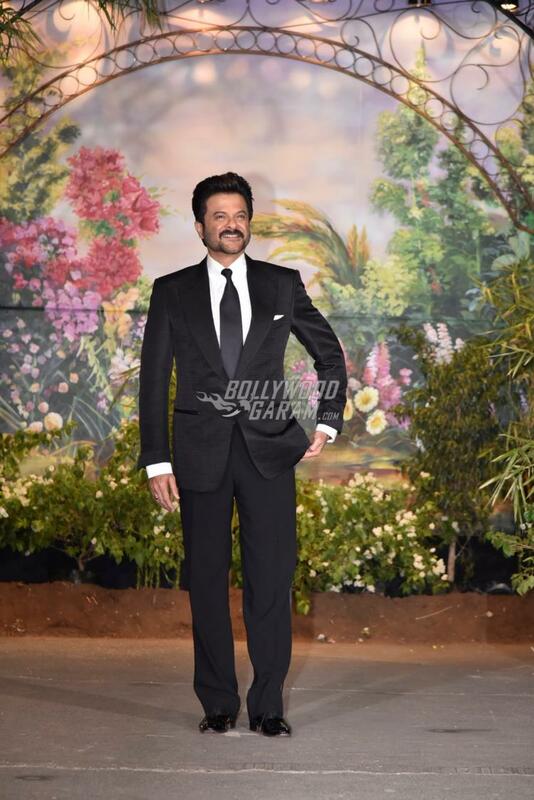 From Shah Rukh Khan, Shahid Kapoor, Salman Khan to Madhuri Dixit, Kangana Ranaut and Rekha, everyone appeared in their best traditional outfits for the reception. 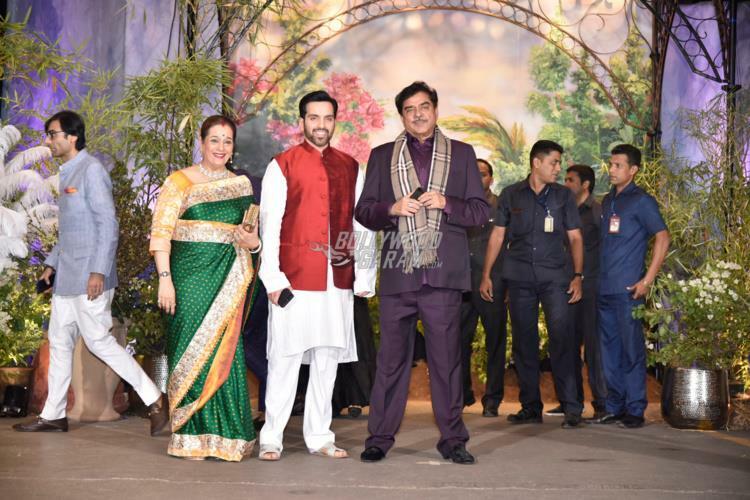 Apart from the family members the attendees of the event included Rani Mukherji, Swara Bhaskar, Shatrughan Sinha, Karan Johar, Juhi Chawla, Rishi Kapoor, Neetu Kapoor, Vidya Balan, Ayushmann Khurrana, Kareena Kapoor, Saif Ali Khan, Karisma Kapoor, Anant Ambani, Shloka Mehta, Shilpa Shetty, Katrina Kaif, Ranveer Singh, Akshay Kumar, Twinkle Khanna, Chunky Pandey, Varun Dhawan, Sanjay Leela Bhansali, Gauri Khan, Ranbir Kapoor, Alia Bhatt, Sidharth Malhotra, Ekta Kapoor, Mohit Marwah, Arbaaz Khan, Abhishek Bachcham, Aishwarya Rai and others were snapped at the grand wedding reception. The one who caught everyone’s attention was Alia Bhatt, who looked gorgeous in a Sabyasachi outfit for the event. Aishwarya Rai Bachchan looked gorgeous in an shimmery ivory ethnic outfit while Abhishek Bachchan twinned in an ivory sherwani with blue churidar. Varun Dhawan appeared with rumoured girlfriend Natasha Dalal. The Badrinath Ki Dulhania actor looked dapper in a pastel blue sherwani while Natasha was seen in an off-white lehenga. 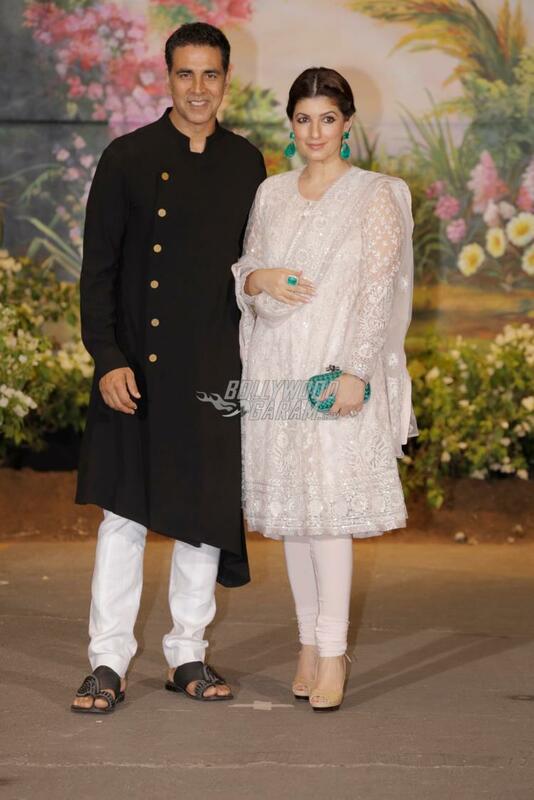 Veteran actress Madhuri Dixit arrived with husband Dr. Shriram Nene and looked ethereal in a pastel pink floor length anarkali. Akshay Kumar was seen in a black asymmetric kurta and white pyjama while Twinkle Khanna looked pretty in a white kurta and churidar.